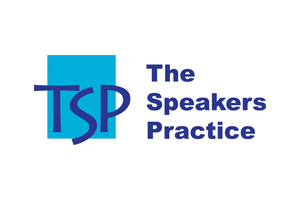 Established in 2009, The Speakers Practice has been established to help professionals who struggle with delivering work presentations, sales pitches, delivering at conferences and speaking in front of a video camera. And because we love small businesses and understand the importance of being able to deliver a confident presentation when in front of clients, staff and most importantly prospects. We have some highly respected solutions to assist. We have been through every single issue associated with delivering a presentation. We understand the issue with being nervous, having negative self talk, finding it frightening to speak to a camera and simply not wanting to get up and speak in front of groups. If you run a business or are a marketing executive who needs to represent the company or you are in business development or sales, your presentation skills need to be confident and you need to display the ability to talk about the business and build trust. That’s what we are all about, helping you bring your dreams into reality. Less sleepless nights worrying about giving presentations the next day and how to prepare your presentation as well as what to say. How would it be to actually enjoy delivering presentations – we can help you to achieve this transformation!